What is your style? All people have their own unique style. The things we like, the things we dislike. It’s what sets us apart from each other. We are all different…our clothes are different, our hair, our car…and yes even our home. And, this home also has its very own style. The style is fun. You see a mix of white and gray cabinets with the Cambria New Quay kitchen quartz countertops throughout. Cambria New Quay is one of those designs that works well with dark and light cabinets blending everything together in the kitchen. 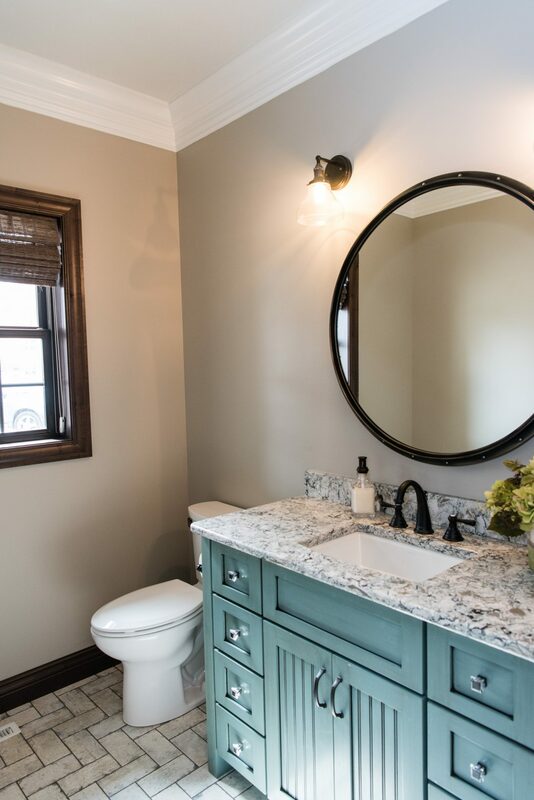 For a little splash of color the homeowner opted to bring in a painted turquoise vanity with Cambria Praa Sands reminiscent of a pristine beach. 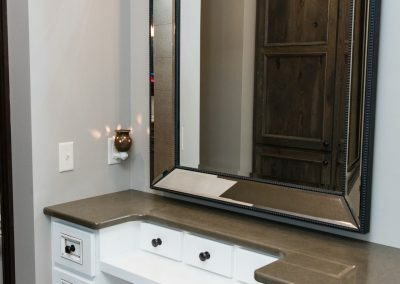 Cambria quartz countertops can be seen at Creative Surfaces Countertops & Tile. 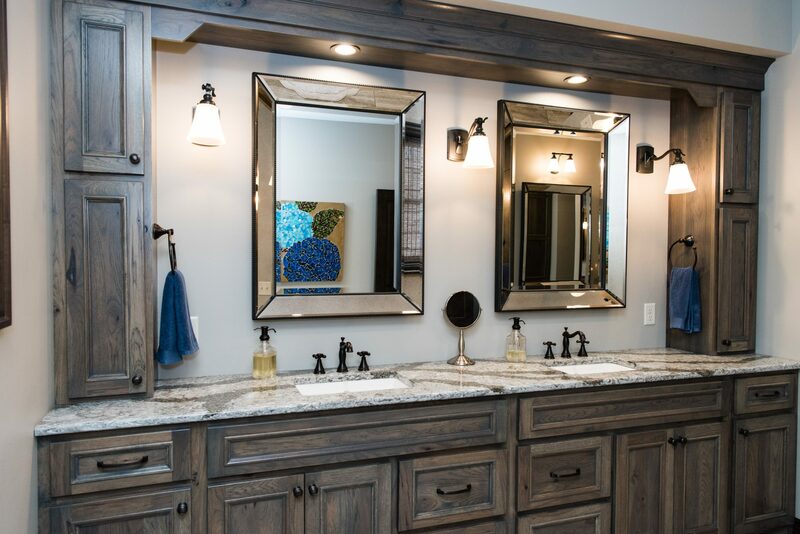 Or visit the Cambria Gallery Sioux Falls to see full size slabs and a variety of vignettes showcasing Cambria. 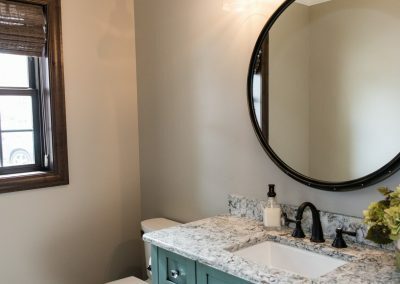 There is a design that will meet your style….with over 160 Cambria designs you might even find two or three that will be a beautiful addition to your home. When it comes to beauty, nothing can compare to Cambria. 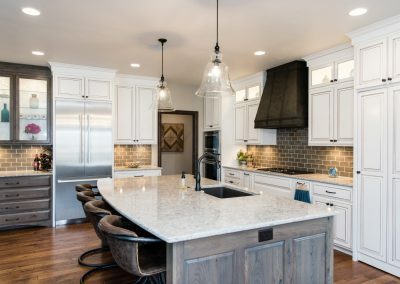 With a large part of our quartz sourced from a unique mine we own, every Cambria design is guaranteed to reflect stunning features you won’t find anywhere else. 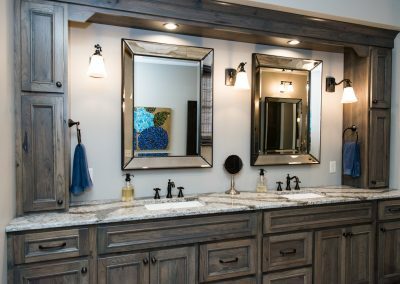 Stop and let one of our designers assist you with your project and choose the design that best meets your style. 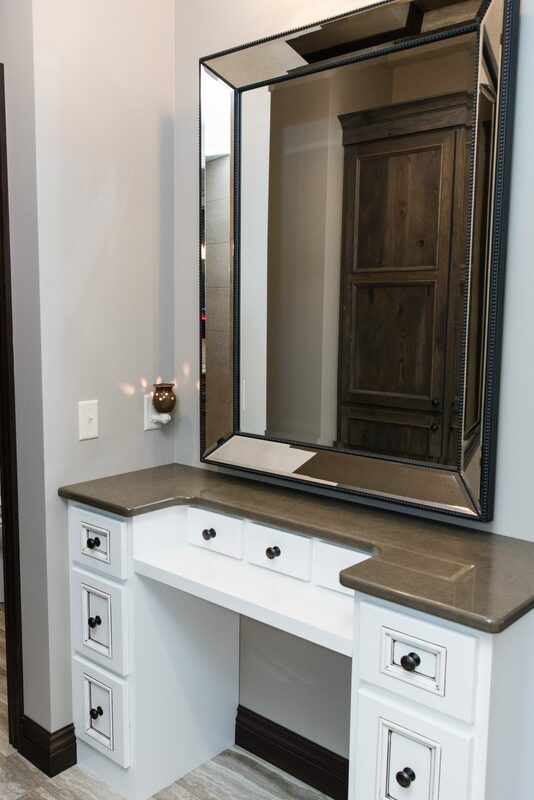 The master bath vanity features Cambria Galloway quartz. Built in desk in kitchen with Cambria Canongate quartz countertops.